Most people are happy today because it’s the weekend! Anyways, today is Day 6 of our $2000 Blog Anniversary Giveaway and I hope everyone is still excited with all the freebies I have been giving away. Today we are going to focus on giving away copies of one of my favorite programs for my Mac, such as 1Password x 2 ($39.95; made in Canada BTW!). 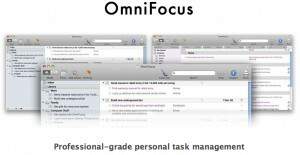 Two other amazing GTD (Get Things Done) programs being given away are Things ($49) and OmniFocus ($79). All three have iPhone apps too which makes them even better. 1Password is more than just a password manager, but it’s basically one giant digital vault on your computer. It makes remembering passwords a thing of a past and its seamless integration with all internet browsers make it a joy to use. Now that I don’t have to focus on remembering passwords in my head, one license of Things and OmniFocus will be given away. Contest ends tonight at 11:59PM PST. Winners will be announced on Monday! Congrats! Thanks to everyone who entered for Day 5! Check back soon to see what’s next on the giveaway list!